MSP Airport will complete millions of dollars in renovations over the next five years. While guests will see improvements across nearly every aspect of their visit—from retail, restaurants, ticketing, to lodging and more—they will also experience a time when construction will invite disorientation. 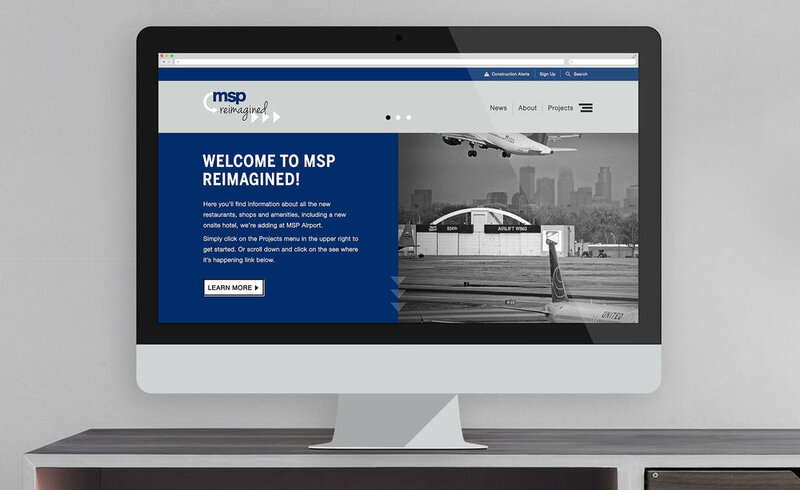 The MSP Reimagined campaign aims to preclude confusion while inspiring excitement for the improvements that will make visiting MSP Airport an even greater experience. Pictured alongside the handsome and talented Scott Muskin (the tall one with the hair, duh).